After having spent about a month and a half with Mohanji, travelling hundreds of miles, meeting several hundreds of people, and taking thousands of pictures and videos, I realize that it is quite impossible to capture every moment of Mohanji’s visit to the USA (although every moment was very special) and share it with you through this blog. I have therefore highlighted some key events which will hopefully give you an idea of the depth of the experience that we had. It was with much exhilaration and eagerness that we awaited Mohanji’s arrival at the Airport on the beautiful evening of September 4, 2014. It had been over a year since Mohanji’s first visit to the USA in 2013. Biba, Mila and Sumit had arrived a week earlier and were almost settled in – adjusting to the change in time zone and environment. Waves of joy engulfed me when I saw Mohanji. It seemed as though He had never left us! Yeah, his hair was shorter and he had lost some weight, but the striking sharpness and the aura of purity and love had only intensified. Viji and Ashok Sagar were hosting Mohanji and his family for the first part of the trip. We welcomed our Master with a Gurupuja filled with devotion and love. We had worked on putting together a pretty intense schedule this time. In addition to a lot of travel, we had also arranged talks and Q&A sessions at a variety of locations so that people from diverse groups could get to meet with Mohanji and interact with Him. Fire is considered sacred in many spiritual traditions and a homa (sacred fire ritual) is believed to ward off evil influences and negativities. 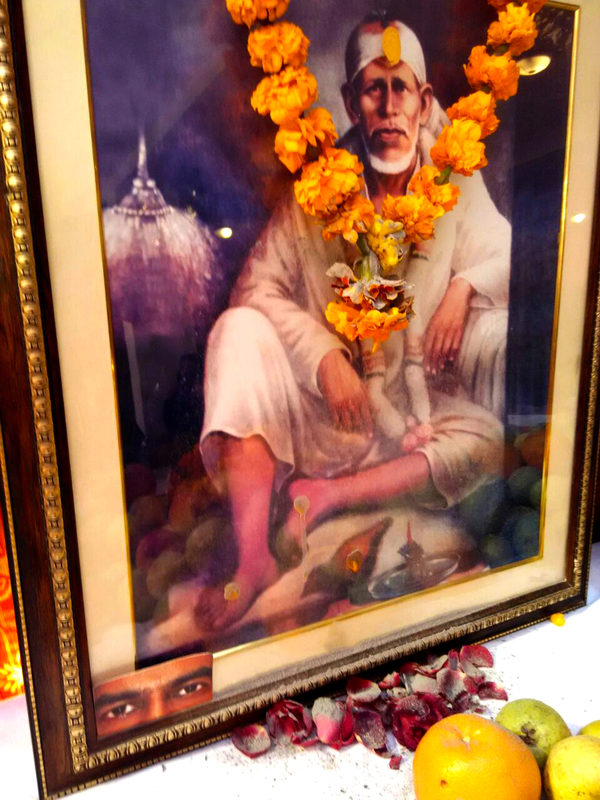 One of the first events was the homa performed by Mohanji at The Hanuman Temple of Northern America, a beautiful Hindu temple where Shirdi Sai Baba and Hanumanji are worshiped. As Mohanji kindled and consecrated the fire on the morning of September 6th and started the homa ritual among chanting of various mantras, the fire leaped high and mighty. It was a very powerful ritual and all those who were present and offered their past life karma and bad influences into the fire in the form of a dry coconut, felt a sense of liberation and peace. There are a variety of homas that are generally conducted in religious occasions, but this unique ritual conducted by Mohanji is highly charged with spiritual energy and bestows a sense of peace and purity. Our friend, Ramu Arumugam with the able help of dear Raj and others in the team, put together this event and we are grateful to Baba who offered his home on this occasion to mark the beginning of Mohanji’s month long stay in the USA. The Unitarian Universalists congregation of Fairfax, Virginia, and Cedar Lane, Maryland, are a liberal religious community committed to individual freedom of belief and spiritual nourishment with a goal of promoting world community with peace, liberty and justice for all. Mohanji was invited to address the congregation at both these Churches where his simple but succinct replies to questions were received with great enthusiasm. Mohanji’s message “Let the wave of awareness unite the world beyond caste, creed, races, religions and differences. Let love unite the world..”, resonated very well with the group that met him in both these places. Coincidentally (or not) the very first church in which Paramahamsa Yogananda conducted a talk after arriving in the US was in the Unitarian Church. Paramahamsa Yogananda, a preeminent spiritual master of modern times, has profoundly impacted millions of spiritual seekers around the world. We were all very excited to be the Self-Realization Fellowship’s International Headquarters at Mt. Washington in Los Angeles, with Mohanji. Though many of us have read books by the Paramahamsa, especially the Autobiography of the Yogi, we were quite spellbound upon reaching the Ashram, known as the Mother Center. The silence, orderliness and serenity of the ashram grounds are truly remarkable. The monks at the Ashram cordially welcomed Mohanji and were in discussion with him about their Master and their unreserved service to Him and his teachings. After spending a couple of hours at the Ashram and the meditation hall, Brahmachari Shekar walked out with Mohanji to show us the favorite meditation site, the Temple of Leaves where Sri Yogananda often gave classes under the trees. As we were walking behind them, half a dozen white doves flew over our heads. This was an unusual occurrence, as brother Shekar mentioned that during his several years of stay at the ashram he had never seen doves flying over the skies. It was indeed a blessed moment and a great honor that we were fortunate to be conferred the Shaktipat by Mohanji under the same tree where once Sri Yogananda had taught his disciples. We also visited the Forest Lawn Memorial Park where Sri Yogananda’s body rests and the Lake Shrine Temple where undoubtedly, the Paramahamsa’s promise to humanity “Come into the silence of solitude, and the vibration there will talk to you through the voice of God”, is felt. The Embassy Row in Washington DC has a number of houses of worship and on the event of 9/11 Unity Walk, in a striking display of unity and hospitality, they open their doors and welcome people of all faiths to learn about each other, embrace each other and have some good food and fun! “The blessings of the Divine abound when one has the good fortune of coming into contact with the Spiritual Master Mohanji. One can know by the unusual array of coincidences that one was meant to come into the purview of such a Spiritual Being whose mission is to raise consciousness in order to help humanity become spiritually liberated. Before we met, I participated in the Power of Purity Meditation which facilitated my becoming lighter and actually free of any residual negativity I was carrying. Having been exposed for many years to the teachings of the Spiritual Master, Meher Baba, I could recognize the same consciousness in Mohanji, in the loving way in which he expressed himself, enjoying the opportunity of answering any and all questions to help guide us more carefully along our spiritual paths. It was a great blessing to have Mohanji with us during the Unity Walk in Washington DC, when we walked along together – simply walking and talking about the importance of bringing people of different religions together, which was the purpose of the Walk. I admired Mohanji for he was offered to be a Faith Guide that day and promptly declined to wear a sash representing any one particular religion, for he said that he followed the Religion of Love. Biba was deeply touched by the Unity Walk. 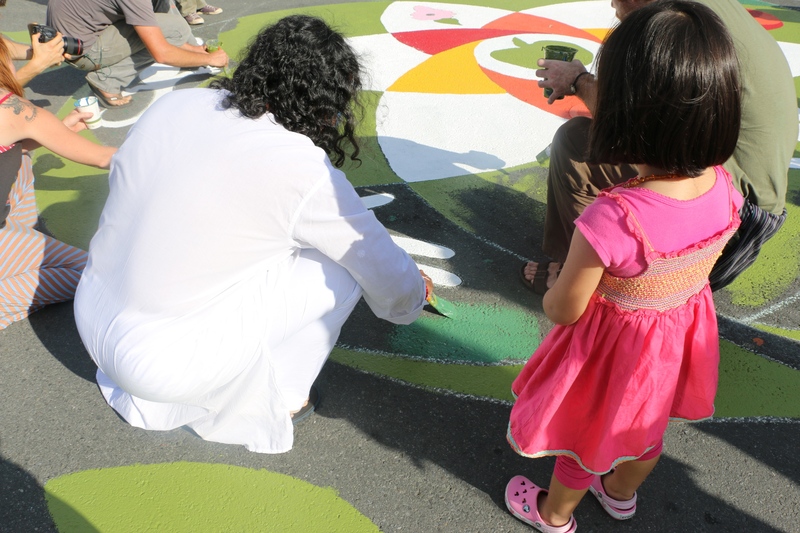 She said: “While participating in the Unity Walk, at one point I simply got mesmerized by the beauty of humanity. It was so much more than just a gathering of people from different religious/spiritual groups all walking for Peace. It was a truly grand event which left a very deep impression on me. I instantly felt the inner pull to introspect more. It was exactly 10 years ago that I completed my MA in Peace Studies at Notre Dame, and this was my first trip to USA since then. Unity Walk made me feel and realize my inner calling – it was a true ‘A-ha!’ moment. My life experiences, my studies, my passion for Yoga, suddenly it all made so much sense. I feel so grateful for this experience! It was also a great honor to conduct two Yoga classes in the World Bank where sincere practitioners choose to spend their lunch break practicing Yoga before returning to their respective job posts. In California, we witnessed true spiritual seekers, a plethora of Organic and Vegan shops and restaurants, Yoga studios at every corner, street art, music and joy. Yogaville, founded by Swami Satchidananda, is a beautiful ashram on the banks of the James River. Nestled in the woods of Buckingham County in the commonwealth of Virginia, amidst a community which is diverse and vibrant, fostering the spiritual practice of yoga, Yogaville was an ideal location for the week long retreat with Mohanji. Quiet and serene, we were able to experience the calmness of the mind in the presence and guidance of a loving Master. The yoga sessions conducted by dear Biba were charged with so much energy and everyone felt so refreshed after the practice. It was not easy, but the environment at Yogaville and Biba’s gentle persistence in getting into the postures helped us immensely. The other procedures were done during the retreat along with keeping silence and having a good sattvic meal from the Yogaville kitchen helped in the release of the toxins. The most sacred happening of the Retreat was Mohanji’s initiation of the Consciousness Kriya and sublime imparting of spiritual knowledge to the small group of participants from around USA and Canada. Participants meditated at several of the sacred locations of the Ashram. So much peace, joy and laughter. Even though we had planned one public Satsang that was to be opened to the Yogaville Ashramites, because of the huge enthusiasm of the Ashramites and their loving request, we had a public Satsang on all days. Many Ashramites met Mohanji one- to-one to get His guidance on their spiritual journey. 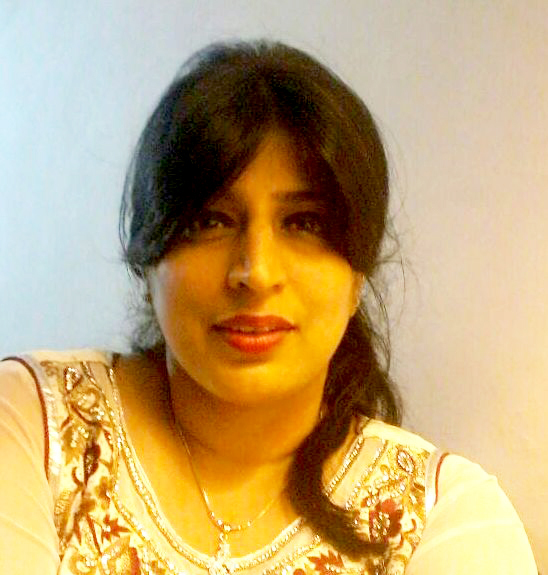 This is what Biba said about the experience of Yogaville: “As someone who is totally in love with the ancient science of Yoga and hope to serve it all my life, I must say that Yogaville left me speechless. It was the first time in my life to experience a community of people of different generations fully dedicated to yoga, spiritual growth, and sattvic (balanced) lifestyle. It was precious to see how these lovely people responded to Mohanji. It was a treat to behold yogis and yoginis (some of whom had beautiful white hair), getting to ask the questions arising from years of contemplation. Overall the trip was very engaging and fascinating, be it the satsang at the Afghan Hindu Temple in New York, or the meeting with Nataraj Baba and Nandhi Tapas Yogi in LA. Many people from different walks of life got an opportunity to meet Mohanji. Some came to discuss their problems, some out of curiosity and some to quench their thirst for spiritual knowledge. It seemed that everyone took messages, lessons, blessings and peace back with them. Mohanji, true to his teachings, welcomed one and all with unconditional love and shared his knowledge with striking lucidity. We are all grateful to Mohanji for making this long trip all the way from India to be with us and nurture our spiritual development. We are very much honored and humbled by his love. It was also our greatest pleasure to have Biba, Mila and Sumit who made the entire experience filled with fun and joy. Biba said: “This trip to the US was a true learning experience. It was great to meet so many wonderful souls in Washington, Maryland, LA, San Francisco, Pittsburg, New York and Florida. I was especially touched by the endless love and dedication of our loving hosts who went out of their way to make us feel at home, cope with their daily work and household obligations and also endlessly coordinate Mohanji’s programs – hats off! Ganesh – the most loving photographer! How to explain the grace and blessings of Shirdi Sai Baba which is continuously bestowing on His children and I am one child of His who is dependent on Baba only in good and bad times. 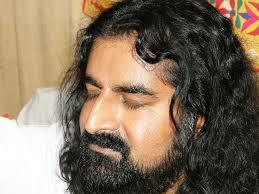 My journey with ohanji started when I was looking for a meditation from Baba in my prayers. The intensity of asking was so high that Baba made plans and arrangements in my life to meet Mohanji. One of my student’s mother Neena, who is an elevated soul, became the medium. We went to Vrindavan together and after seeing my love for baba she told me to go to Mohanji as she knows Bharti, a wonderful person who is a live example of surrender and devotion towards her guru Mohanji. It’s so surprising that a person who had never met Mohanji before became the medium for me and that too in Vrindavan which is the place of Krishna and known as Mohan which is another name of Krishna. I got a chance to meet Bharti and Palak who are wonderful souls and attended Power of Purity meditation at Bharti’s house… it was amazing as the quest for meditation was fulfilled by Baba and I always I used to pray for the purity of mind and soul. 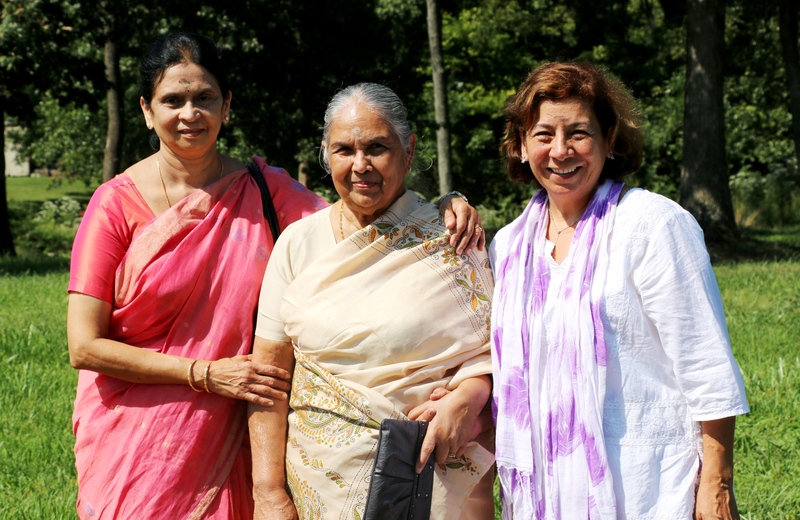 Bharti and Palak told me about the wonderful experience they had with Mohanji. I felt really nice after experiencing the meditation. In June 2014 I got a chance to meet Mohanji, which was like a dream coming true. You can feel the work of masters in my life here, as things were all coming to me just like that… I received shaktipath from Mohanji and for a few days I was in a different world. Furthermore, I got a chance to read his book “Kailash with Mohanji… Meeting him in person is altogether different from talking to his consciousness. I realized this when I experienced his powers and how he is working on each and every disciple. After meeting him my urge to talk to him became very strong. I started discussing about him with my Sai family. “Kailash with Mohanji” is a book beyond appreciation. I started feeling very close to Mohanji’s conciousness as I started going to Bharti’s house for meditation every Sunday. In October 2014 I was talking to Ashutosh Bhai who is in Toronto about Mohanji and he told me, “If Baba wants then only I will be able to meet Mohanji” and to my surprise Mohanji’s meditation session was in Toronto, which was announced on facebook. I called up my brother and told him about Mohanji’s visit and the mandir where the session was supposed to take place was near my brother’s house. He not only visited the temple but he was quite lucky that Mohanji blessed his house when he asked Him to visit it… as it was my desire to talk to Mohanji, my brother asked Mohanji to talk to me and I received a call from him at 3pm his time which was at 1:30 am in Toronto. I was jumping with excitement as I could hear Mohanji’s voice. I received His blessings and he also read the message which I sent to him. Again I was in bliss for a few more days. First, the quest for meditation was fulfilled by Baba and I always pray for the purity of mind and soul. Second, it was my desire to talk to Mohanji and Baba made it possible for me. Second time I was sitting in Isckon and aarti was going on. Suddenly I received a call from Ashutosh bhai to talk to Mohanji as he was in U.S. and would take my call for sure. I was little hesitant but I didn’t understand which divine energy was making Bhai the medium, and I called up Mohanji. He talked to me and laughed as he could understand the amount of my excitement and thrill while talking to him. He blessed me again as this is what I always ask from Mohanji. The ultimate thing he told me and which still echoes in my ears was that how he is with me, I will realize that soon. I am still hanging on to the experience which brings freshness within me whenever I feel low. It was my desire to talk to Mohanji and Baba made it possible for me. Once I was sitting and thinking whether I am from Datta tradition and within few minutes my sister called up and during spiritual discussion she told me that maybe I am from Datta tradition! On Guru Poornima day I told Baba if I am meant for this path I would surely attend the satsang and meditation held by Bibaji, Mohanji’s wife, and in spite of busy schedule I managed to attend the satsang. I also got a chance to sing two bhajans. I loved the meeting with Bibaji as she is full of warmth and a lovely person. She really appreciated the bhajans and the voice given by Baba. When I sent thanks message to her she sent me a warm message filled with love. In August 2014 Mohanji and Bibaji along with BTW family went to Kailash and as I was connected to them every moment an amazing thing took place …..as per my daily routine I applied udi on the forehead of my son Shivinder before he leaves for school and within seconds udi took the form of trishul, a symbol of lord Shiva. I sent the picture to Bibaji and even she was happy to see the miracle. It’s all Baba’s blessing to give a lovely guru like Mohanji to us. You can imagine how I would have felt at receiving this lovely message by Bibaji. Mohanji is grace and a symbol of love. His selfless love for each and every creature on this mother Earth depicts the traits of God. A real saint who is leading so many people to the path of purity and I am one of these blessed souls. Automatically a river of love flows whenever I get connected to his eyes. On 24th January it was my 16th wedding anniversary and as Baba wanted I invited Mohanji by sending him a message, although I knew that a saint who is always devoted to the work given by his masters can’t be present physically but in spirit he can definitely be there to bless me. He assured me of His presence and told me the same will be felt by me during Sai Sandhya. My spiritual mother Veena Maa who is also a true Sai devotee also came and as she prayed to Baba. 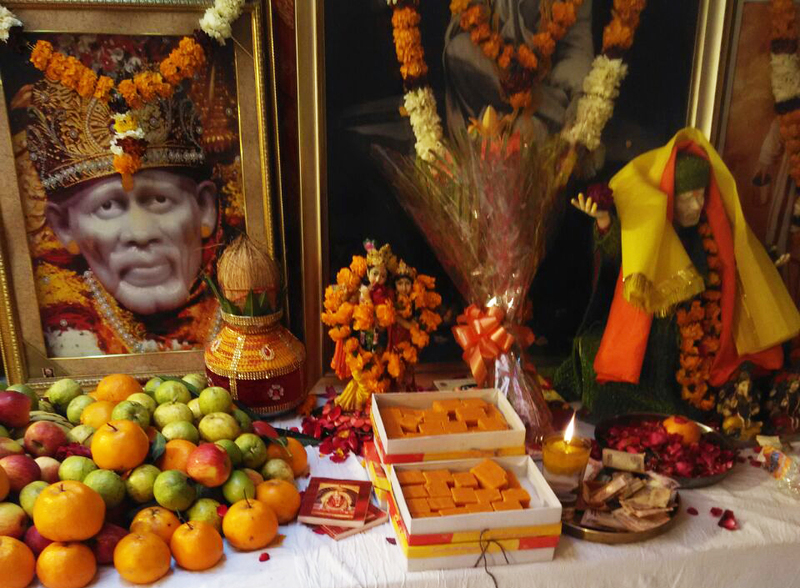 There was big amount of udi on the photo of Baba’s dwarkamai, as it happens whenever she prays to Bbaba. The most amazing experience was that out of all the five photos the udi came on the picture under which I have fixed Mohanji’s eyes picture! He actually came and I felt his presence again when I saw his smiling face four times during bhajans. He kept his promise and then I realized that Mohanji is not only a name but much beyond which can’t be expressed in words. The most amazing experience was that out of all the five photos the udi came on the picture under which I have fixed Mohanji’s eyes picture! 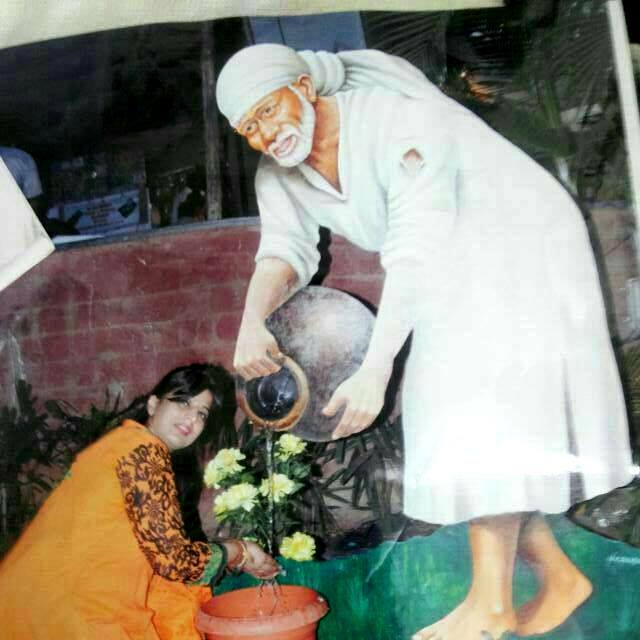 Once in my dream I saw myself in Shirdi Sai mandir and I was eager to have holy water given after holy bath to Baba… I saw Mohanji standing in front of baba. The next day I got to know through Bharti that Mohanji was in Shirdi when I saw him in my dream… in 2nd dream I saw Mohanji and I saw him giving spiritual discourses and in that dream I saw someone going ahead of me floating in the air I asked the saint not to leave me and to hold my hand and the saint looked back and held my hand. In January 2015, I saw in my dream Mohanji and all disciples having fun and we were eating chocolate cake and I had a chocolate cake twice as I found it very tasty. Someone in the group asked me the occasion and the words that echoed were it was Mohanji’s birthday. Mohanji, on your birthday I am giving you my bhav and my experiences as a gift to you. I can express my love again by this message. It’s very difficult to convey my feelings to you as I am not getting a chance to express it… after my continuous prayer to Baba to teach me meditation I got a chance to meet you. ..for me seeing you is seeing my Baba present in you, the one whom I love the most and without whom my life is useless. Mohanji, bless me always as so many negative energies stop us to connect to the supreme. Please bless me with inner strength, unconditional love and without Almighty’s grace it can’t happen.